Family and friends often ask me, “Are you ever stumped for recipe ideas?” I usually feel the opposite: I never know which recipes to try first because my “to make” list is pages long! 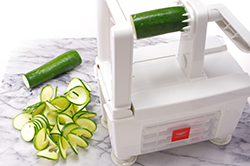 But I also like to create the noodle classics – lo mein, spaghetti alfredo, and so on. 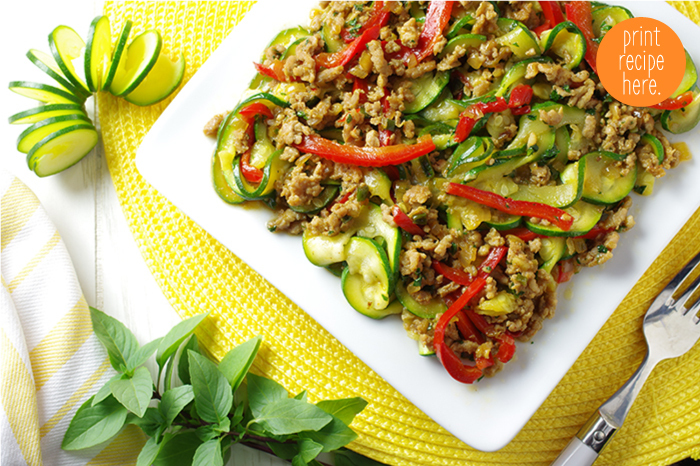 I’ve finally created a version of Thai Drunken noodles that uses flat zucchini noodles instead of wide rice noodles and has no added sugars. 1. Heat a large nonstick skillet over medium heat. 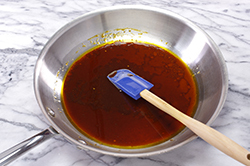 When a bit of water flicked onto the skillet sizzles, add the hoisin sauce, soy sauce, oyster sauce, chili oil, and fish sauce. When the sauces have heated and combined for about 2 minutes, transfer to a bowl. 2. Add the coconut oil to the same skillet over medium heat. When the oil is shimmering, add the pork and sauté, breaking up with a wooden spoon, for 5 minutes or until cooked through and browned. Add the shallots and garlic and cook 2 to 3 minutes more or until the shallots begin to brown. 3. 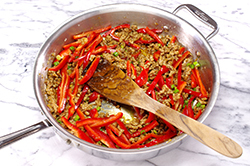 Return the sauce mixture to the skillet and add the bell pepper and scallions. Cook for 1 minute, stirring frequently. 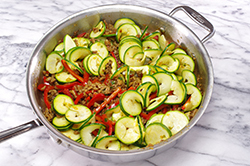 Add the zucchini noodles and cook 2 to 3 minutes or until the zucchini noodles soften. 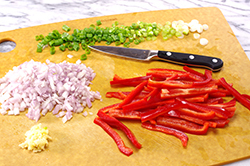 Fold in the Thai basil leaves and serve. 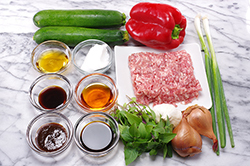 Tip: Drunken noodles are meant to be spicy, so if you can’t find Thai chili oil, use Sriracha or a chili garlic sauce. Nutritional Information: Serving Size: 2 heaping cups. Calories: 383, Fat: 22 g, Carbohydrates: 18 g, Sodium: 1387 mg, Protein 27 g, Sugar: 10 g.